Filleul Street appears (unnamed) on Charles Kettle’s original street plan, but its development was slow, partly due to the swampy nature of the land. Its name is not one of the many Dunedin took from Edinburgh, and the earliest reference to it in the Otago Witness dates from March 1859. Canon Edmund Nevill (1862-1933) was an historian of place names (a toponymist! ), and the following extract is taken from one of his manuscripts held in the Hocken Collections. 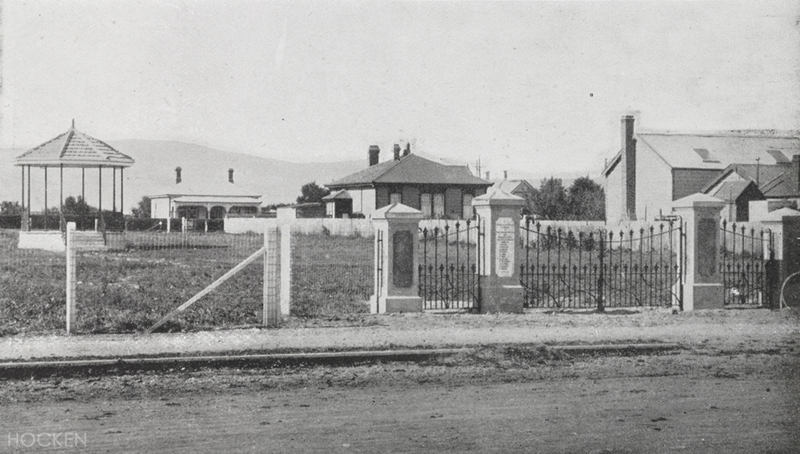 He refers to James Fulton, the prosperous Taieri farmer and parliamentarian, whose residence Lisburn House still stands at Caversham. …covered great stretches of country on horseback. As a protection against bushrangers, who were haunting the country about Dunedin at the time, she and her cousin carried pots of pepper in their saddle-bags, and it was characteristic of Mrs Filleul that she expressed disappointment that the pepper never had to be used. The Fulton story has a good provenance, but stories of origin are seldom straightforward and there is a bit more to this one too. Dr Hocken stated that William Filleul told him that he purchased a section at the corner of Moray Place and Filleul Street. 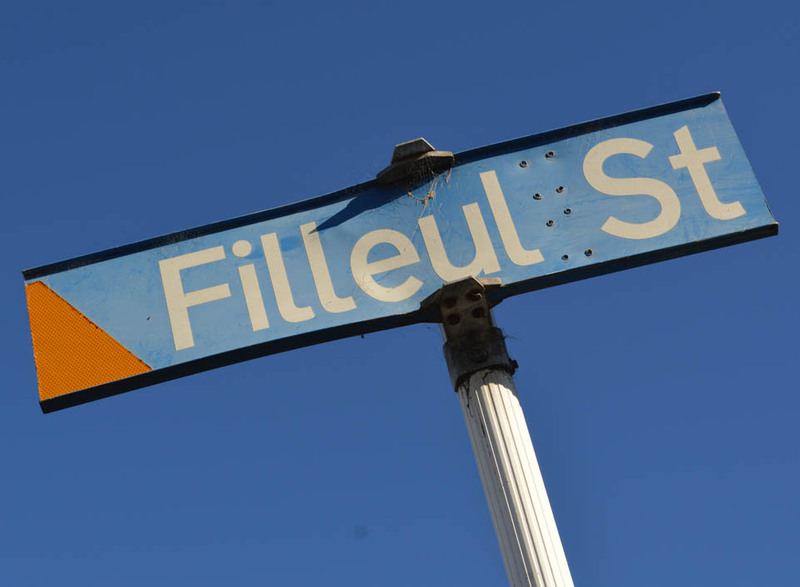 Mr Abbott, the surveyor superintending the purchase, said ‘I see this street has got no name, we’ll call it Filleul Street’. Hocken’s information suggests that while the circumstances may have been approximately as Fulton described, the naming was not quite as haphazard as his story suggested. Further complicating things, Robin Mitchell (1954) wrote that the first landowner in the street was Philip Filleul. This would likely be Philip Valpy Mourant Filleul, the older brother of Richard and William, who settled in Tasmania but apparently spent very little time here. A search of land records held by Archives New Zealand would likely clarify which of the Filleuls bought the section. Filleul Street looking north, c.1880. The intersection with St Andrew Street and York Place is in the foreground. Detail from Burton Bros photograph, Te Papa C.012114. In the 1860s, numerous small houses and modest commercial and buildings were built. The occupations of the residents named in Stone’s directory for 1884 included labourer, plasterer, clerk, storekeeper, artist, waiter, cook, baker, charwoman, photographer, music teacher, stocking knitter, signwriter, sailmaker, accountant, auctioneer, ironworker, butcher, draper, fruiterer, jobmaster, expressman, dealer, carter, glass engraver, plasterer, crockery merchant, and brewer. Not all of the homes were on the streetfront, with many of the humbler dwellings down little lanes and alleys. The building reverted to residential use in the 1920s and was eventually demolished around 1970. 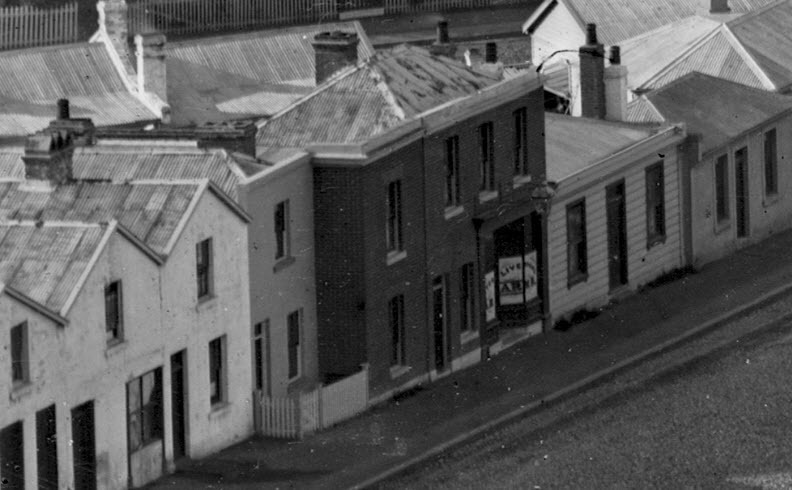 Detail from the above image showing the Liverpool Arms Hotel. Four churches were built on corner sites. The old Brethren Hall (later the Beneficiaries Hall) on the Hanover Street corner was designed by J.L. Salmond in 1894. It was Maude’s Fabric Barn for a time and is now the restaurant Miga. 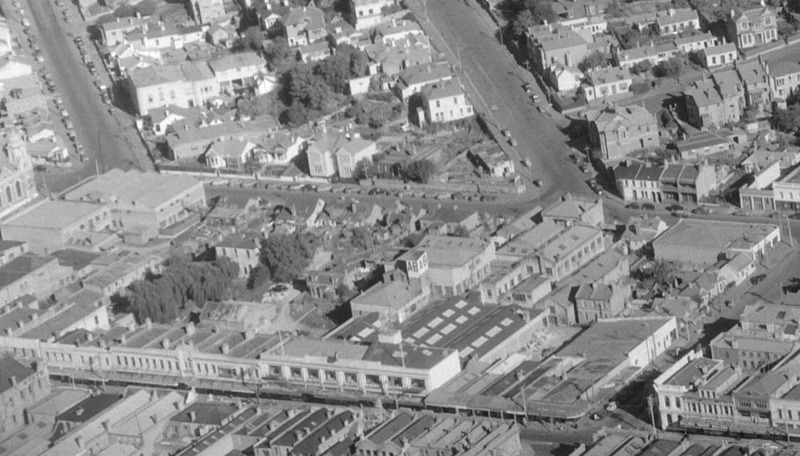 The Evangelical Church of Christ stood near the Moray Place intersection from 1910 to 1976. This is not to be confused with the St Andrew Street Church of Christ, designed by David Mowat and opened in 1926. It replaced the Tabernacle in Great King Street, and remains a landmark building with its Wrenesque tower and a classical styling unusual in Dunedin’s ecclesiastical architecture. On the diagonally opposite corner remains another church building, the former York Place Gospel Hall. It was much modified for re-use by Warwick Grimmer Ltd in 1990. The Church of Christ, on the St Andrew Street corner. The Dunedin Brewery was established at the northern end of the street in 1861. It was taken over by Charles Keast in 1870 and he went into partnership with John McCarthy in 1871 to form Keast & McCarthy. The old wooden buildings were removed and a new brewery in brick and bluestone erected between 1873 and 1874. Later buildings included brick offices fronting Filleul Street designed by Louis Boldini (1878), a new malthouse and other buildings designed by T.B. Cameron (1880), and extensive additions fronting London Street designed by Drew & Lloyd (1882). 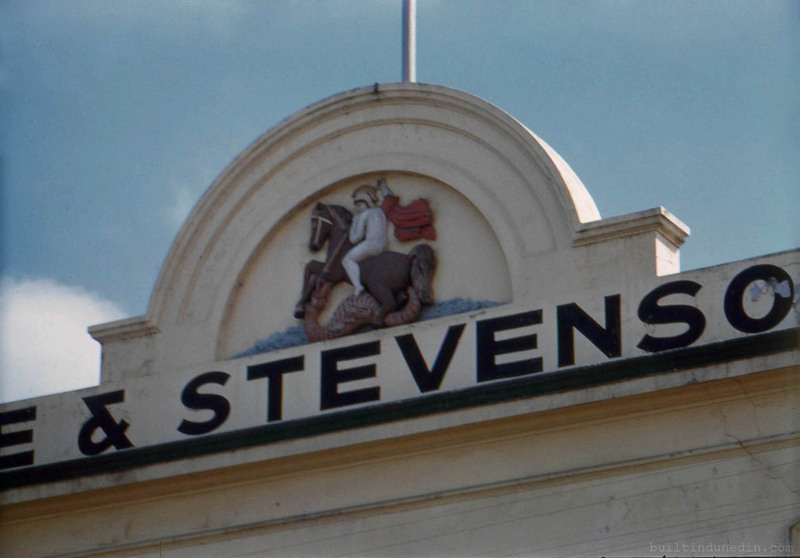 The brewery closed in 1895 and the buildings were taken over by Irvine & Stevenson’s St George Co., which also had factory premises in St Andrew Street and Moray Place. This large company was known for its ranges of jams, soups, preserved meats, and other canned food products. 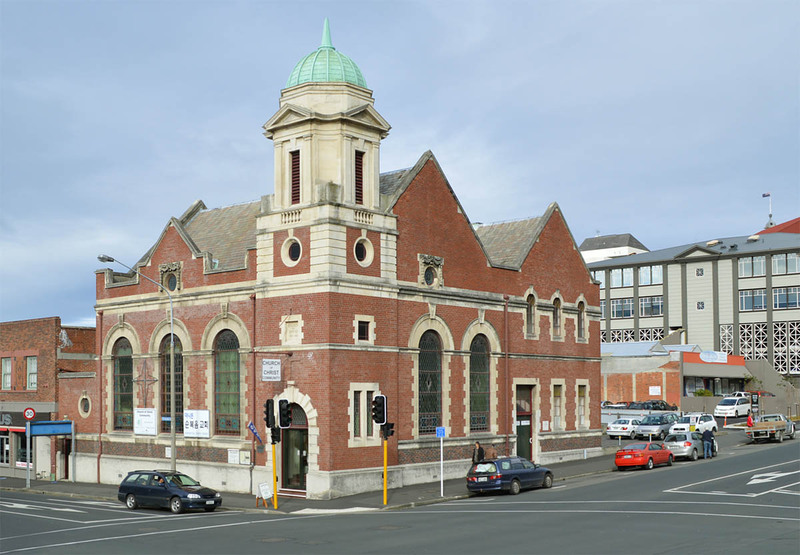 It eventually operated factories throughout New Zealand and continued to be based on the Filleul Street site until it closed in 1977. The buildings were demolished, but a remnant wall can be seen from London Street. Smiths City later developed a store on the site fronting Filleul Street. This closed in 2008 and the building is now partly occupied by Lincraft. Irvine and Stevenson’s St George Co., in buildings originally erected for Keast & McCarthy’s Dunedin Brewery. Detail on the Irvine & Stevenson buildings. Photograph taken by Hardwicke Knight in the early 1960s. There were still many houses in the street in the 1960s but few remain today. The property became attractive to commercial developers and various new two-storey buildings were built in the 1970s. 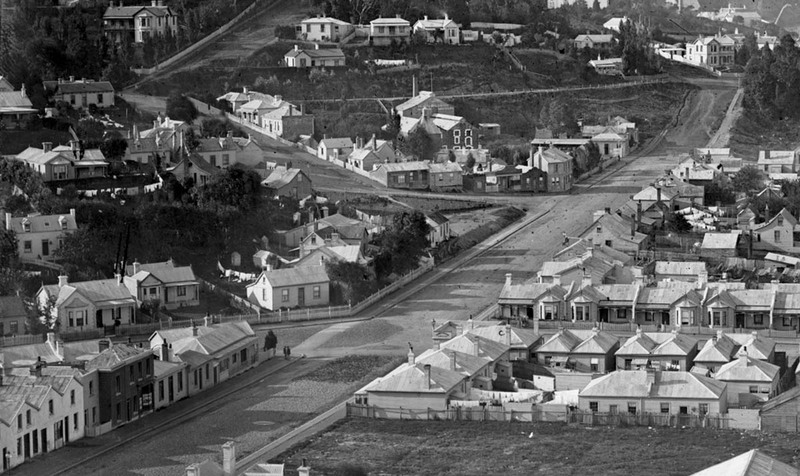 Three two-storey houses from around the turn of the century remain on the slope immediately below London Street, and a single-storey 1890s villa there was demolished only recently to make way for apartments. The eastern side of Filleul Street is now dominated by multi-storey carparks. The first was built for Gardner Motors in 1969, together with a car sales yard on the corner of Moray Place. 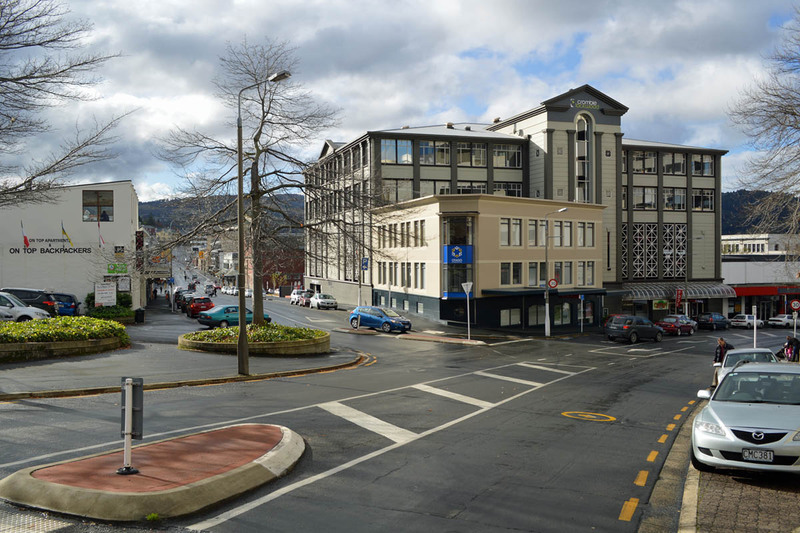 It was the first carpark of its type in Dunedin and the architects were Mason & Wales. The Golden Centre followed in 1979 and the Meridian mall in 1997. The mall carparks usefully service nearby shops and businesses, but their appearance and function dehumanise a large part of street. The Wall Street complex, opened in 2009, has a glass frontage at ground level. 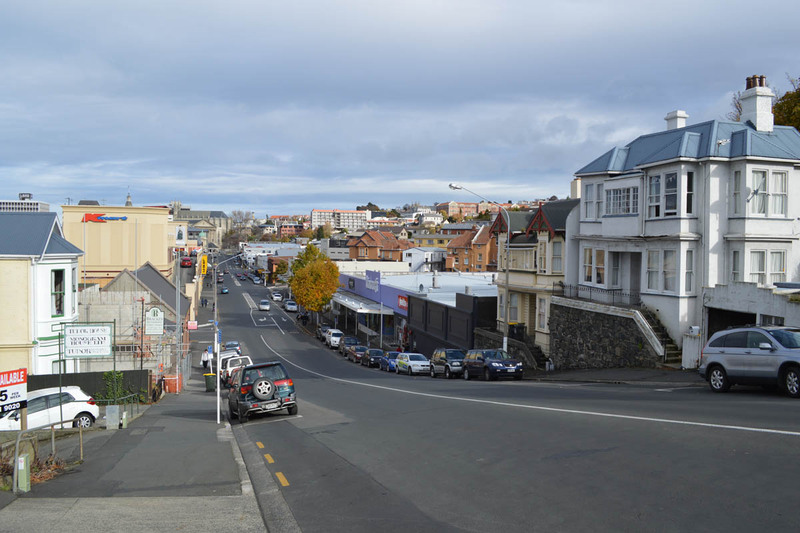 …believes buildings should not be fashionable and says the buildings people like in Dunedin have been there for 100 years […] He uses Greek and Roman influences because he believes they form part of people’s perceptions of what a public building should be. Public buildings must also have visual texture, like the Dunedin Railway Station, which is ‘full of visual texture’. 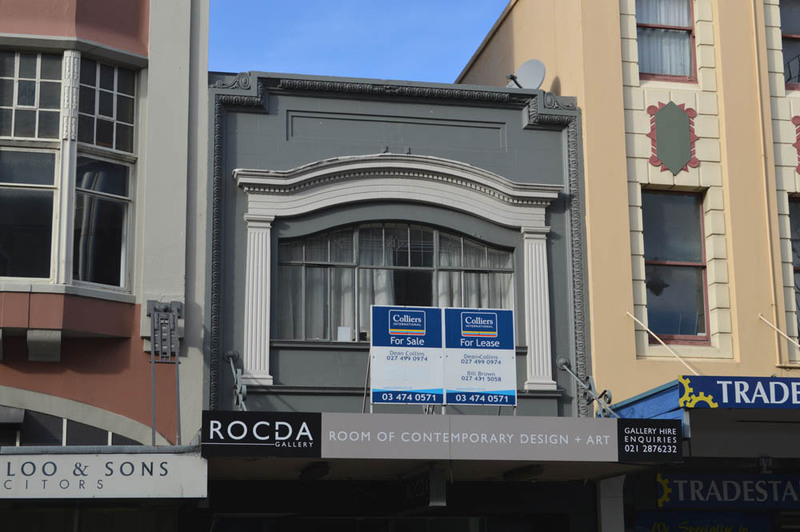 The continued role of revivalism in Dunedin architecture might be something good to follow up here another time. I had intended this post to be about a street name but have ended up writing about modern carparks! If nothing else, this shows how much one busy central city street can evolve in a relatively short space of time. No doubt Filleul Street will be further transformed in the future. The intersection of Moray Place and Filleul Street. A photograph taken by Hardwicke Knight around 1960. A view up Hanover Street to Filleul Street taken in December 1979, with demolition underway on Irvine & Stevenson’s St George Co. factory. Image courtesy of and copyright Gary Blackman. A recent view of the intersection of Moray Place and Filleul Street. The large structure is the rebuilt Gardner Motors carpark building. A view down Filleul Street from near the London Street intersection. Otago Witness, 19 March 1859 p.2 (early reference to Filleul Street), 17 March 1898 p.35 (biography of W.G. Filleul), 10 November 1909 p.89 (mission house); Otago Daily Times, 1 October 1878 p.1 (Boldini additions to brewery), 3 February 1880 p.4 (T.B. Cameron additions to brewery), 18 July 1882 p.4 (Drew & Lloyd additions to brewery); 2 August 1989 p.24 (rebuilding of Gardner Motors) North Otago Times, 7 August 1902 p.3 (obituary for W.G. Filleul); New Zealand Herald, 7 September 1927 p.12 (obituary for Louisa Filleul). Croot, Charles. 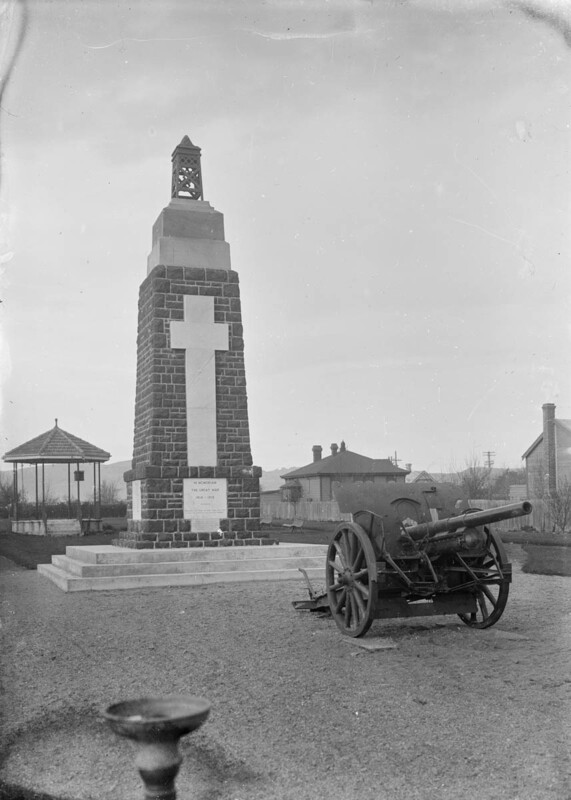 Dunedin Churches: Past and Present (Dunedin: Otago Settlers Association, 1999). Griffiths, George. Dunedin Street Names (Dunedin: the author, 1999). Hocken, Thomas Morland: NZ Notes. Hocken Collections MS-0037. Leckie, Frank G. Otago Breweries: Past and Present. (Dunedin: Otago Heritage Books, 1997). 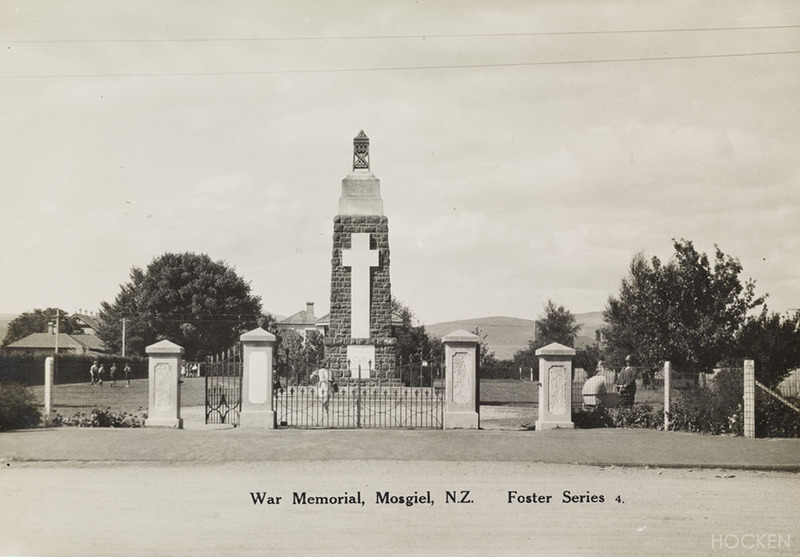 Nevill, Edmund Robert : Papers relating to European placenames in New Zealand. Hocken Collections MS-0160A. Stevenson, Geoffrey W., The House of St George: A Centennial History 1864-1964 (Dunedin: Irvine & Stevenson’s St George Co. Ltd, ). This entry was posted in Streets and tagged Breweries, D.G. Mowat, Drew & Lloyd, Factories, Filleul Street, Gardner Motors, Irvine & Stevenson, Louis Boldini, Mason & Wales, Postmodernism, Shopping malls, T.B. Cameron, Victorian on 31 May 2014 by David Murray. This wee gem often catches my eye. The Rio Grande was the restaurant of Dimitrios Pagonis (1893-1976), a Greek immigrant from the island of Evvia. 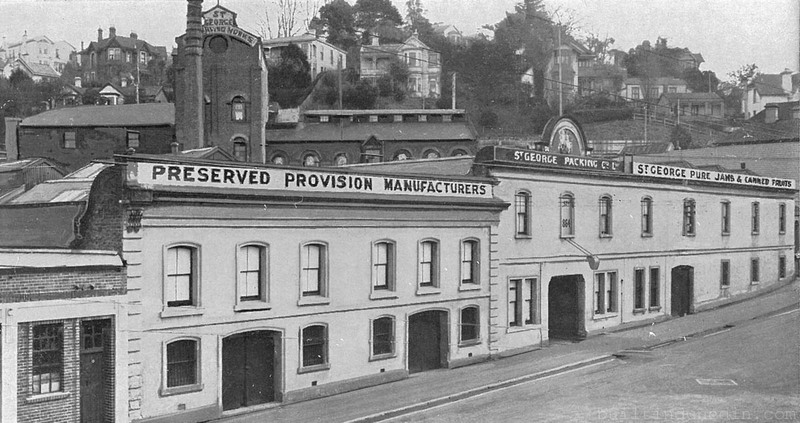 Pagonis had arrived in Dunedin in 1915, when he went into business as a confectioner and opened the Anglo American Candy Kitchen. He sold the business in 1927, when he commissioned architect D.G. Mowat to replace the 1860s building at 73 Princes Street (part of a larger block of shops) with a new structure. Plans dated 24 August 1927 show a building with three levels (two above the street and one below) on a concrete foundation that would allow the height to be increased to a total of five levels if required. The restaurant occupied the ground floor and basement, and the first floor was used as office space. 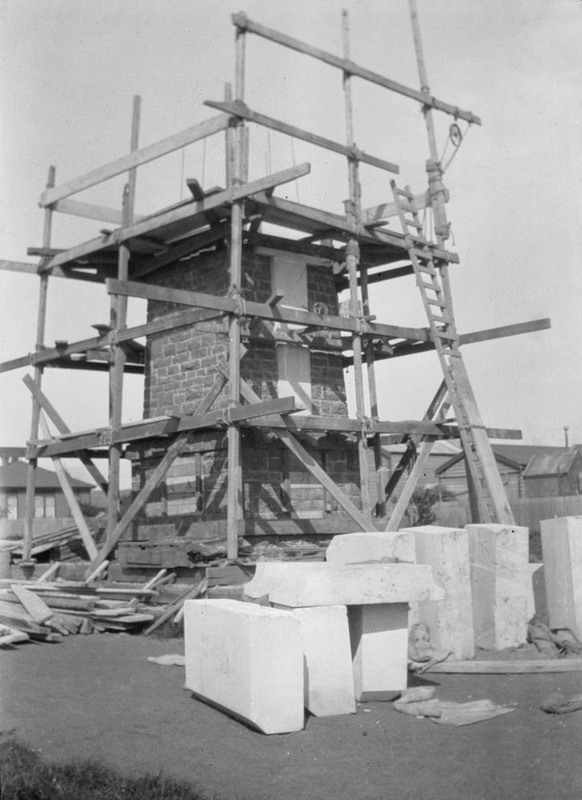 The builders were Lawrence & Sons. 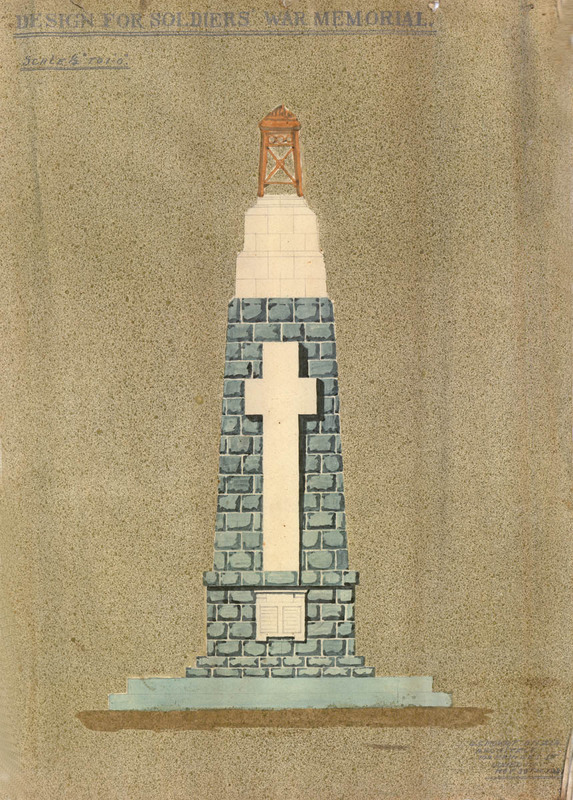 David Gourlay Mowat (1880-1952) was most active in Dunedin in the 1920s and 1930s. His designs included the St Andrew Street Church of Christ, the Maori Hill Presbyterian Church, Mann’s Buildings at the corner of Manse and High streets, and the building at 232 George Street which is now a McDonald’s restaurant. The last of these was built in 1929 and shares with the Rio Grande a distinctive first-floor window design with arched lintels and leadlight windows described as ‘sashed in the antique style’. 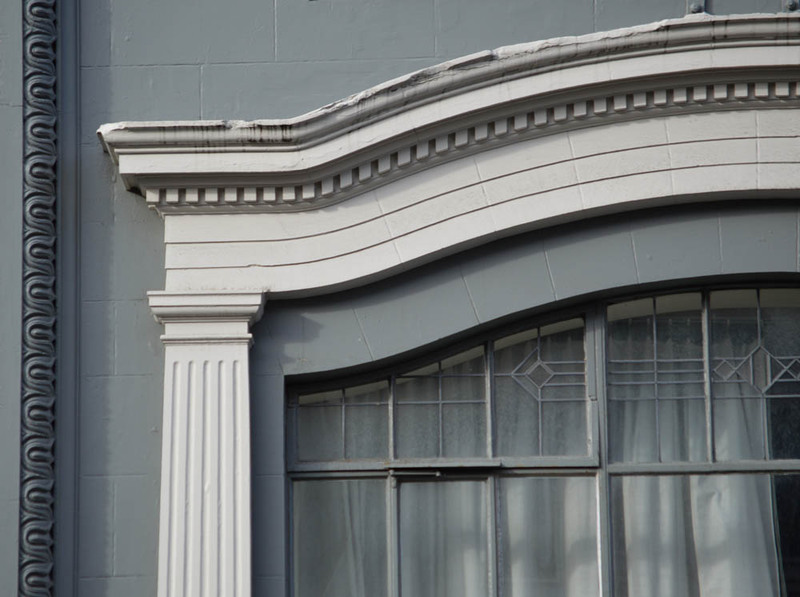 Both buildings have similar decorative mouldings that frame their facades. In the Rio Grande, the international vogue for Egyptian decoration comes through in an understated way through the pilasters and curved entablature. 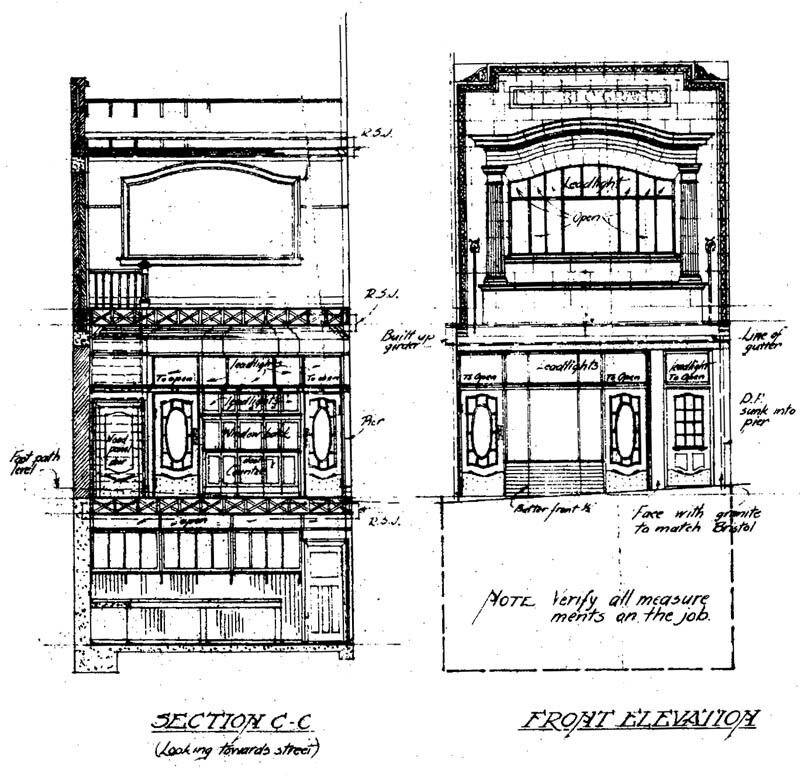 Mowat’s front elevation drawing shows the faint lettering ‘The Rio Grand’ [sic] in the recessed panel that runs across the upper part of the facade. The spelling in later sources varies. Restaurants operated from the building under various managers for ten years. During the Great Depression street riot of 1932, Pagonis opened the restaurant to rioters for the whole day, feeding them without charge. 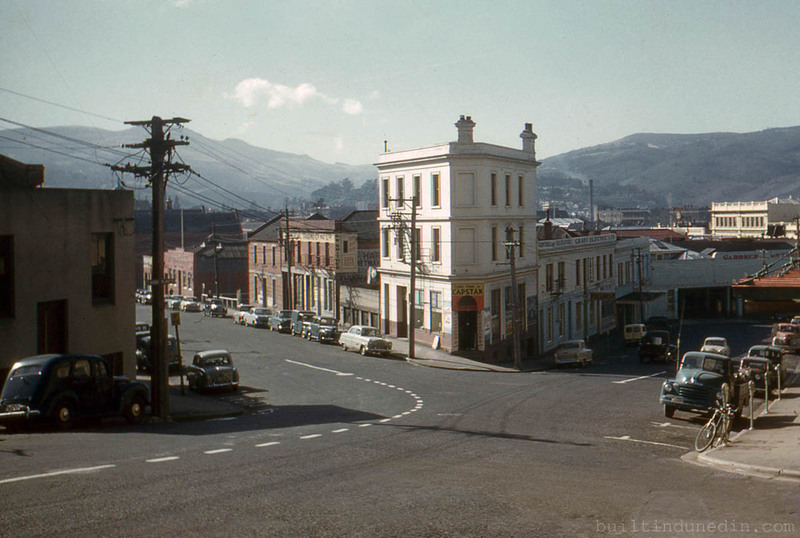 Not long after this he sold the building and left Dunedin, but he later returned and established the Beau Monde Milk Bar, further south and on the opposite side of Princes Street. A wartime advertisement. Otago Daily Times, 27 April 1943 p.5. 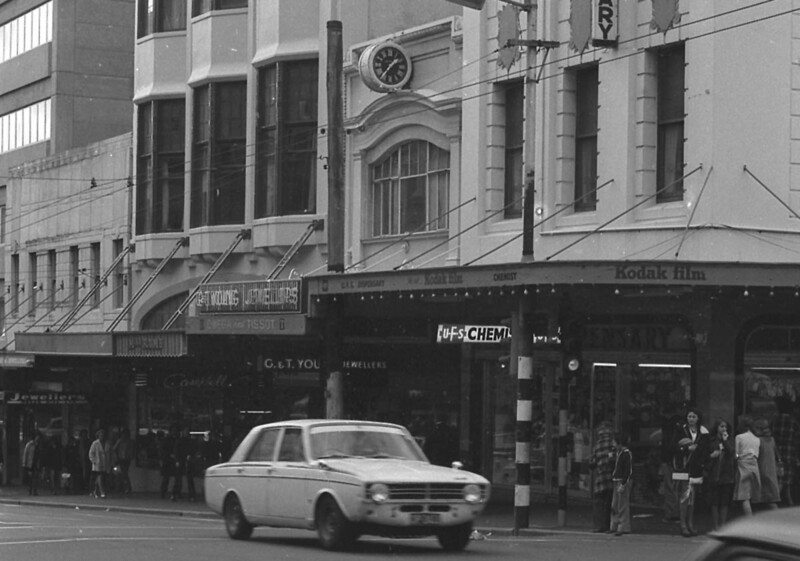 View showing the building as it appeared in the mid 1970s with the clock in place. Detail from photograph by Hardwicke Knight. 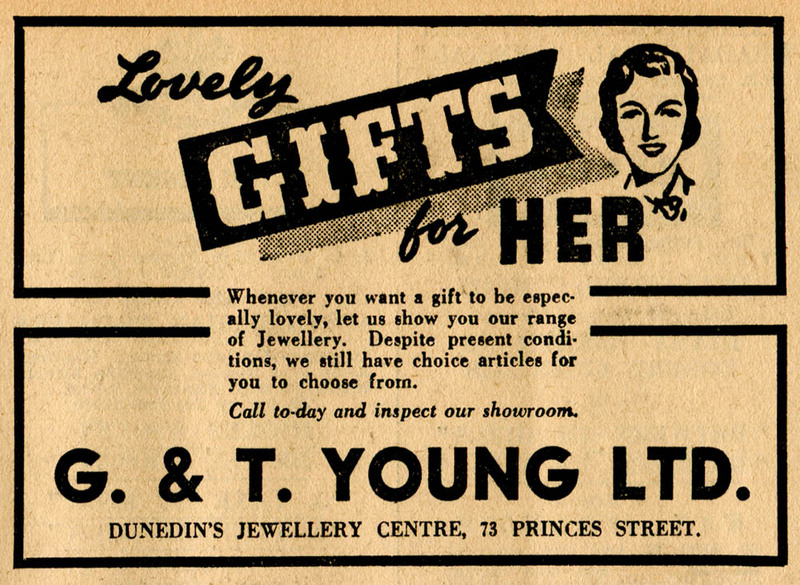 The jewellers G. & T. Young took the premises in 1938, when new shop fronts and other alterations were designed by architects Salmond & Salmond. The large Birmingham clock that had been a feature outside their previous two premises since 1871 was moved and attached to the facade. G. & T. Young moved to George Street premises in 1988 and the clock was removed in 1990. When the firm went into liquidation in 2009 it was believed to be the oldest jewellery business in New Zealand. It had been established by George Young in 1862, with his brother Thomas admitted as a partner in 1876. Most recently the Rio Grande building housed Rocda Gallery, and its plaster ceilings are still largely intact. For a small, domestically-scaled commercial building it attracts a lot of admiring comments, perhaps because its modest take on 1920s architectural fashion has more than a little sparkle to it, like a ring in a little jeweller’s box. Do any readers have historical photographs of this building? I’d love to see a good view of it with the clock still in place. Newspaper references: Evening Star, 10 January 1928 p.2 (construction progress), 2 April 1928 p.2 (description); 18 December 1928 p.2 (building at 232 George Street); Otago Witness, 18 May 1867 p.11 (earlier buildings), 15 April 1871 p.14 (G. & T. Young clock); Otago Daily Times, 17 April 1867 p.1 (earlier buildings), 14 May 1990 p.3 (clock removed), 27 January 2009 p.4 (liquidation of G. & T. Young). 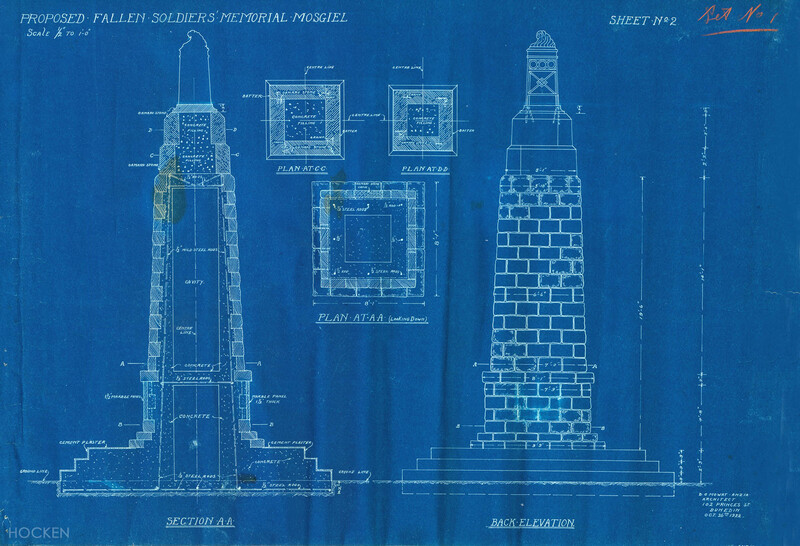 Other references: Directories (Stone’s, Wise’s, telephone); Jane Thomson,‘Papers relating to Southern People’ (Hocken Archives MS-1926/1347); Dunedin City Council permit records and deposited plans. This entry was posted in Buildings and tagged 1920s, Art deco, D.G. Mowat, G. & T. Young, Jewellers, Lawrence & Sons, Princes Street, Restaurants on 31 May 2013 by David Murray.